"Before, there was confidence about the fact that Russia interfered," the official says. "But there was low confidence on what the direction and intentionality of the interference was. Now they [the CIA] have come to the conclusion that Russia was trying to tip the election to Trump." The official adds: "The reason the assessment changed is that new information became available" since Oct. 7, when the Department of Homeland Security and the director of national intelligence released a joint statement accusing Russia of interfering with the American election process. 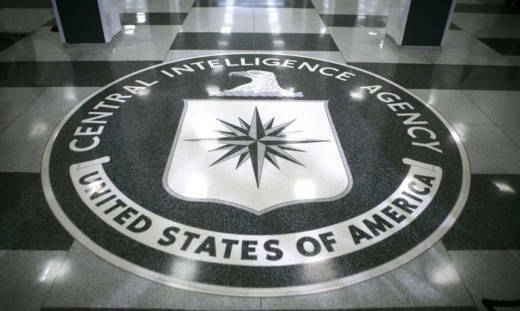 The Washington Post first reported the CIA's new assessment on Friday. In addition to hacking into Democratic organizations, Russians hacked the Republican National Committee's computer systems, according to a separate report from the New York Times — but they did not release any information that might have been retrieved from Republican networks. "Intelligence agencies have identified individuals with connections to the Russian government who provided WikiLeaks with thousands of hacked emails from the Democratic National Committee and others, including Hillary Clinton's campaign chairman, according to U.S. officials," the Post reports. "Those officials described the individuals as actors known to the intelligence community and part of a wider Russian operation to boost Trump and hurt Clinton's chances." " 'It is the assessment of the intelligence community that Russia's goal here was to favor one candidate over the other, to help Trump get elected,' said a senior U.S. official briefed on an intelligence presentation made to U.S. senators. 'That's the consensus view.' "
In a previous assessment, CIA officials had thought Russians intervened with the intention of undermining Americans' electoral system, Adam Entous, one of the Post story's reporters, tells NPR's Scott Simon. On Friday evening, the Trump transition team fired back with a statement dismissing the report of the agency's conclusion. "These are the same people that said Saddam Hussein had weapons of mass destruction," the statement said. "The election ended a long time ago in one of the biggest Electoral College victories in history. It's now time to move on and 'Make America Great Again.' "
In fact, Trump's percentage of the electoral vote in the 2016 election ranks 46th among presidential election winners in U.S. history, according to factcheck.org. Trump's claim is a reference to the CIA's flawed intelligence on Iraq, in the runup to the U.S.-led invasion in 2003. The CIA and other spy agencies judged that Saddam Hussein had weapons of mass destruction — a judgment that proved to be false. While the leadership of the CIA has changed hands several times in the years since then, many intelligence officers and analysts who worked on the Iraq intelligence still serve at CIA and in other parts of the U.S. intelligence community. But whether or not Trump's top officials acknowledge the report as a possible threat, the Post's Adam Entous points out Trump will soon be in command of the intelligence agencies. "I'm sure they're going to declassify some elements of the report and I'm sure there will be leaks," he adds, but the Obama administration can't disclose the full details of the case, because it would be "compromising what's known as 'sources and methods,' which would then make it harder for the CIA and the NSA and other spy agencies to get more information in the future." "In the 2016 election, U.S. intelligence officials charged that Russia had interfered. In early October, they released a strongly worded statement saying they were 'confident that the Russian Government directed the recent compromises of e-mails from U.S. persons and institutions, including from U.S. political organizations.' The statement went on to say 'these thefts and disclosures are intended to interfere with the U.S. election process.' "
The U.S. official says that "there is a determination to do something" before the Obama administration leaves power. "It's still being discussed exactly what to do. And as we've said before, some of it you may see and some of it you will not." Sen. Ron Wyden, a Democrat on the Senate Intelligence Committee, says the response from President-elect Donald Trump is "very misguided." "When you have strong evidence that a foreign power has interfered with the American election, with American institutions, then what you do is keep digging. You get all the facts out," Wyden says. "You respond to the American people with the kind of information that they have a right to know." "I do believe there is important information that the American people have a right to know. It ought to be declassified promptly." "It's very important that the American public knows what happened, not necessarily to re-litigate this election, but to look forward," says Sen. Angus King, an independent senator from Maine. "What worries me is the extent to which this is an ongoing pattern — which, by the way, is the Russians' pattern in other parts of the world. "And is that going to be the case in our elections? Four years from now, are we going to have the Democrats, the Republicans, the independents and the Russians?" King asks. "I mean, this is very serious stuff."